The Registration for the Unified Tertiary Matriculation Examination, UTME 2019, which is being organised by the Joint Admission and Matriculation Board, JAMB, for admission into tertiary institutions in Nigeria for 2019 academic year has not YET commenced online,which we would boldly say, as at the time Of Compiling this Article. The Jamb Registration Form, as i know, will be available in NIPOST offices and JAMB offices nationwide. The Sales of JAMB 2019 Registration Scratch card WILL commence this Month Of January, and we’re saying, that the Sales of the JAMB 2019 registration form MIGHT end in February/March, while the online registration ends 06 February 2019. The date for JAMB UTME CBT 2019 Examination has not been fixed yet, also note that AFTER THE JAMB examination, it will be time for post UTME. However, to access the JAMB UTME portal for e-registration, you need a scratch card to access it, although the Scratch card price hasn’t been fixed yet, but the UTME Scratch card will be made available at the following venues listed below. 3. JAMB offices through out Nigeria. The JAMB UTME Scratch card contains a serial number and your PIN, note that these two vital information is VERY Much needed for your UTME e-registration. The JAMB UTME registration will also require your fingerprint scanner like in the 2018 Jamb Registration. However, this year’s registration can only be done at accredited centres. Because all returning JAMB 2018 candidates may not require fingerprint scanner, since their fingerprint is already in JAMB’s database, but they may need to provide their JAMB 2018 registration numbers. The JAMB Board has maintained the same process which they used in 2017, since the UTME registration for 2018 will also be continued this Year for JAMB 2019. Please note that the biometric scanner (finger print reader) will be used to capture the left and right thumbs of candidates, who will love to participate in the JAMB 2019 Registration. All Participating candidates are advised to make sure, an approved fingerprint reader is available on the computer they intend using for their registration, as their finger print (left and right thumb) will be read before they can sign-up for a UTME account. Please Note that creating a JAMB Profile is the first step in the registration process for JAMB UTME. The registration must be done on a computer with the Java Runtime Environment (JRE) installed on the Computer. This is because the application that runs the registration portal is based on Java programming language. While the Minimum of JRE 1.6 is required. Java JRE can be downloaded free on the internet, if it is not already on your system, and the Megabyte required to download it is about 10MB. Please make sure to read the instructions at the registration website before commencing your registration for JAMB UTME. Meanwhile, the JAMB Brochure has not been made available yet, so searching for details of your Jamb UTME courses of choice is not an option yet. We’ll love to give you the process and guidelines on how to register for JAMB 2019. Do Make sure a finger print reader is available on the computer before commencing your registration. If you are an absolutely new user (i.e. you did not seat for JAMB UTME 2018 examination), search up for the serial number and PIN on your JAMB UTME 2019 scratch card, and insert the serial number and PIN in the appropriate field in the Sign in Module and click the SIGN IN button. Please note that if the validation of your JAMB UTME scratch card PIN and serial number is successful, you will then be required to scan your left and right thumbs. So, make sure an approved biometric fingerprint scanner is connected to the system before you commence your registration. If you have registered for the previous year exams ( which is the last JAMB), you will be required to add your UTME registration number in the Registration No. (if Available) field and then click the shining button. The portal will automatically fetch some of your registration details for JAMB UTME 2019 registration, which will certainly make your REGISTRATION easier. It is not clear whether fingerprint scanner will still be required for candidates who participated in last year’s JAMB, since their fingerprint is still in the system. However, do ensure that an approved biometric fingerprint scanner is connected to the system before commencing your registration. The registration page will load for you to commence your registration. Please note that at this point, you can either logout or continue your registration. However, if you choose to log-out, you can continue your JAMB UTME 2018 registration by logging into the JAMB portal at anytime. Also be aware that you will be required to complete your JAMB UTME registration within 21 days of your first login, or something bad might happen to your Registration, and i bet you won’t love it. Also Note that subsequent visits to the JAMB UTME portal will no-longer require a fingerprint scanner. Before registering, make sure you have your information ready, we’re advising that you download the JAMB UTME form template, print a hard copy and fill in your Required Information, then go online and fill the online UTME registration form. Also make sure you go through the online brochure at the portal to be sure you enter the right UTME subjects for your chosen course. Note that you should also have an electronic copy of your passport sized photo ready on your computer or flash drive in case. The Jamb Registration Portal also requires from you,an electronic copy of your passport, which can be made through a scanner. You can also capture your photo directly with a digital camera. Although ensure that the photo is recently taken, the photo is clear, and of the right size and not more than 15 KB. Also test the validity of your passport using the facility provided in the JAMB UTME portal. If your passport is flagged, re-size it using Microsoft photo editor. we’re all aware that Every computers do come with Microsoft installed, so You can do it Yourself. Note that your picture must also be in jpeg format. After completing the registration form, click on submit to complete the registration. Be aware that once you click the submit button, your data will be sent to directly JAMB official website and at this point, you will no longer be able to modify it. You will then be issued a JAMB UTME registration number and examination number, make sure you memorize this number or at least write it down where you can easily access it, probably your cell phone. You can also print out your JAMB/UTME Slip. The UTME Slip can be printed at anytime, just login to the JAMB e-portal where you can easily print out the UTME Slip. You can reprint your registration slip at anytime, but You’ll need the following, to successfully print out your slip. Trying to register for UTME 2018 Yourself Online registration for JAMB UTME is complicated, although some few complexities are involved. We’ll advice you to go to verified centers for registration. The fact is that you can register for JAMB UTME yourself is possible. However, the need for fingerprint scanner may create some difficulty. You have to probably look for a cyber cafe with fingerprint scanners. Note that you can also use places like a cafe to signup for your UTME account. You can then logout and continue the registration yourself another time or you can complete it at the internet cafe. Beaware that the JAMB UTME registration portal requires that the Java Runtime Environment be installed on your computer before you can proceed with the registration. We hope JAMB have taken care of the high level of load expected during this period of time, since last year, there was a really shut down of their system, which prevented students from checking their jamb results. Some cyber cafes may block access to JAMB UTME e-registration portal from their cafe so that you pay them for your UTME registration. In such a situation, you are advised to look for a cyber cafe that does not offer JAMB UTME services themselves. However, if it is impossible to register for Jamb UTME yourself, then you can give it out to a consultant or to the cyber cafe assistant to do it for you. If you outsource your JAMB UTME registration to a consultant or cyber cafe, make sure you monitor him/ her to ensure that your data is properly entered, since they’re in a hurry and a mistake could see you been sent to another school or given a different course. Most people with registration problems in JAMB UTME are usually those who give it out to consultants without proper monitoring of how the procedures was done. But to minimize the traffic issue, you find the JAMB UTME portal too slow mostly on workdays, try on Sundays or at Night when traffic is minimal and people aren’t browsing at that time. If you have your own internet connection, you can always access the JAMB UTME portal at anytime. The Fingerprint derived from the registration process, which may be used for gaining access to examination hall on examination date. Make sure your left and right thumb fingerprint are carefully scanned to avoid surprises and disappointments on UTME 2018 examination date. Make sure the biometric scanner and your hands are clean when taking the scan. We’ve Written series of JAMB REGISTRATION GUIDELINES, and if you’ll love to read it, then you can do that by clicking the Link Below. This Are Some Important Pre-Registration notes for candidates. Just Read Through this Note and share your questions or thoughts regarding this!. 1. Jambites should ensure that they collect their Jamb registration scratch card from several business centre/cybercafe after registrations. 2. All Jambites should be aware that they cannot change their Examination Town after they Must have submitted their form. So once More, Cross check and Don’t make mistake while filling your jamb form. 3. You will require a JPEG passport to be scanned or digitized. Please note that the passport should not be older than Three (3) months. 4. All participating candidates will be require to have a working Email address, which they will use to successfully complete their registration process and get additional information from Jamb officials about Jamb 2018 Important News. You can get a free Email address at www.Gmail.com or Yahoo! Note that both of this mail service are free and are the best. 5. Likewise, all Participating candidates should note that they will NOT be able to change their Names, Date of Birth, Origin and Gender after submitting their application, and once more, Ensure you filled in your complete and correct details before submitting the Jamb FORM. Please note that if you are using Jamb approved Business Center or Cyber-Cafe, all the above procedures, including the Finger Print Registration will be made available to you. 3. Jamb 2018 Examination Dates. 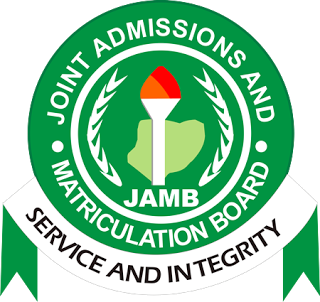 The Internal officials of the Joint Admissions and Matriculation Board, (JAMB), has on Wednesday, concluded centres inspection ahead of the 2018 UTME. However, with the inspection on the Centres completed, the JAMB registration is expected to kick-off this month Of November. There will be one, two, or more e-exam centre(s) in each state of NIGERIA for candidates that may prefer any of the following option for JAMB/UTME. The Computer Based Test, also known as CBT, which is proposed by JAMB, against the conventional Pencil and Paper Test (PPT). Meanwhile, it is pretty obvious that JAMB may be registering over 2 million candidates for the examination. We’re not just predicting, considering the statistics of the last JAMB examination. 1. Less than 30% of the 1,503,931 candidates who participated for the JAMB exam in 2018 have been admitted. 2. A total number of 1,672,224 candidates wrote the SSCE (figures from WAEC alone) in 2018. Meanwhile, ahead of this jamb registration, we’ve got solution for students who value hard work and wish to gain admission into their school of course this 2018 under merit without having to pay or bribe anyone for illegal admission, which certainly backfires. For those searching for JAMB cbt expo, free website, runz Here is all you need to know. However, do remember that anyone who asks for success, but didn’t prepares it, is simply begging for failure, note that such a person will get the situation he/she has prepared for. And like the Great Quote On Education Says: Education is not preparation for life, education is life itself. Do Value Education, And Life Will Be Exciting!. Wishing All Students, who are planning to participated in the JAMB 2019 examination, a great Success!.